These bright chewy candy sticks are a kiwi classic. Has a vibrant yellow colour and juicy pineapple taste. 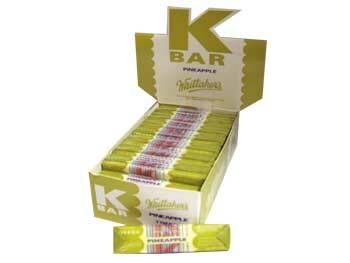 K-bar, I have no idea what the K stands for but they ultimate choice for anyone with a few coins to spend, 35p and at least 20mins of pull-your-teeth-out pineapple chewyness!